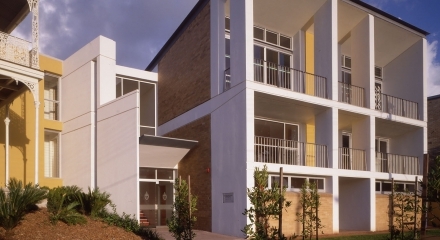 Our Lady of Mercy College is a Catholic school for senior girls in Parramatta. The school’s brief was for six new science classrooms / labs, a science prep. 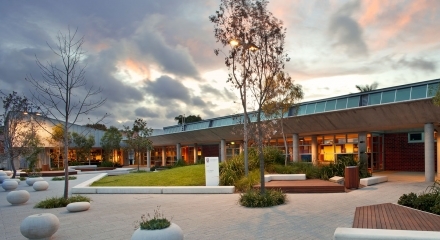 room, a library, domestic and commercial kitchens, canteen and a multi-purpose senior study area. 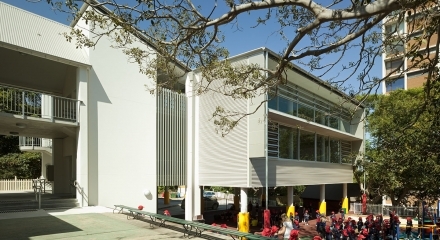 The design consists of three storeys situated on the north-west corner of the school campus. 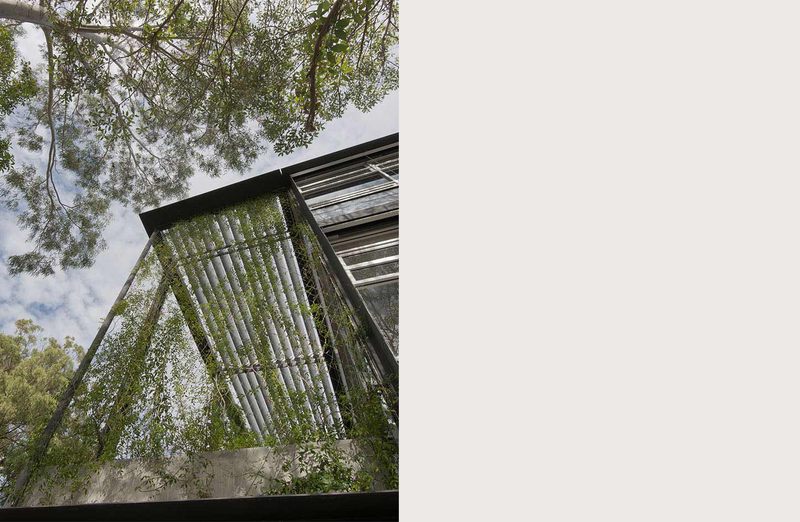 Longevity in the life of the building is reflected by the use of materials in their natural form. Solid face brickwork and pre-cast concrete panels are used so the school can ‘turn it’s back on’ a busy O’Connell Street and Parramatta Stadium as well as providing thermal insulation to the west. All western windows are recessed from the face of the building to provide natural sun and heat protection without the need for any extra level of shading. 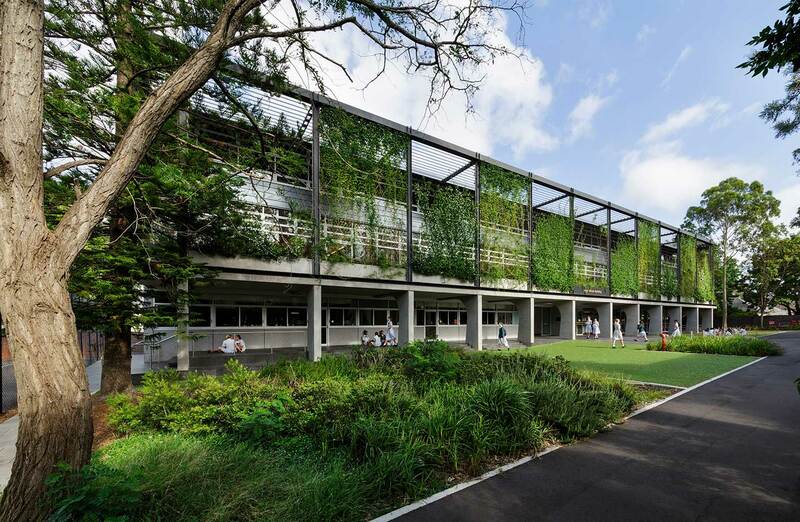 The eastern facade facing the school has a more pleasant outlook with ‘green wall’ planting providing natural shading and a cooling effect to windows with fixed aluminium louvres above giving horizontal shading. CVS louvres on each level of the building provide natural ventilation to all rooms and all internal corridor spaces are naturally ventilated and not air-conditioned. 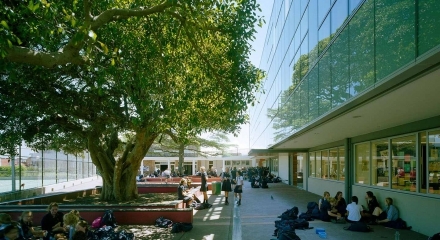 The building has a high level of sustainability with the use of solar hot water panels and 2kW peak photovoltaic cells for solar power on the roof, 20,000 litre in ground stormwater retention tank for toilet flushing and irrigation, adjustable external aluminium louvres to the northern windows for sun and heat protection and extensive glazing to provide daylight and minimize the use of artificial lighting. 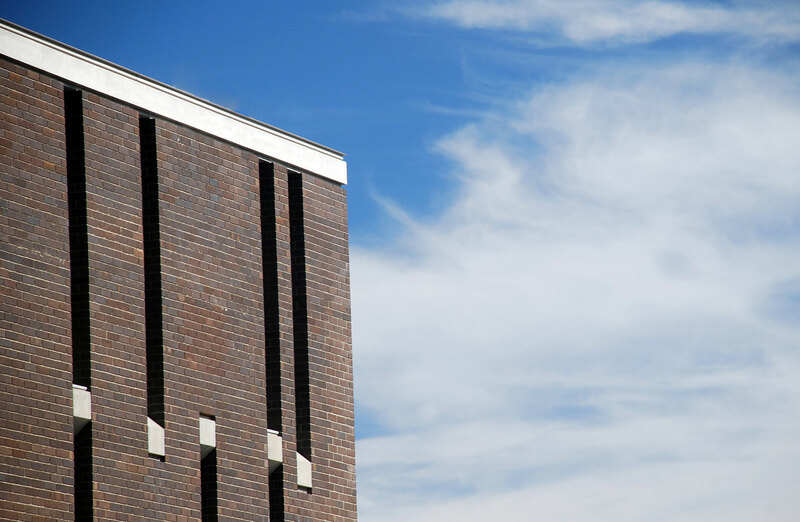 Carefully located openings make the building highly permeable at ground level with connection to the rest of the campus and outdoor recreation areas. 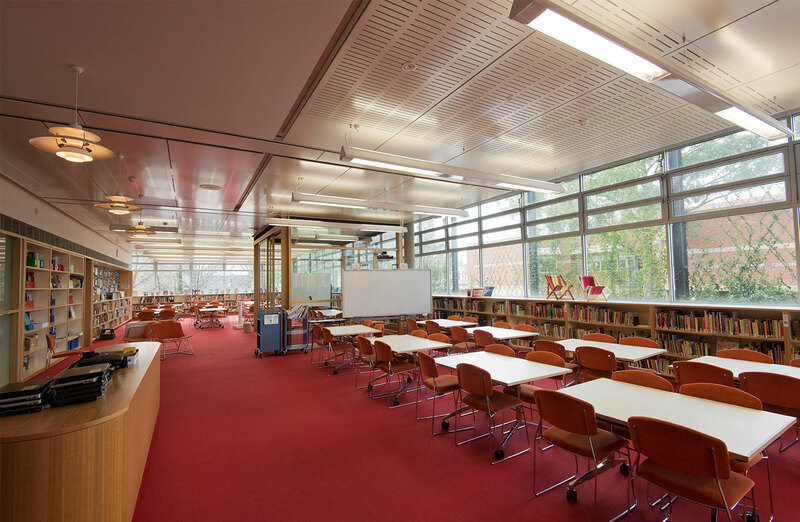 Internally, spaces are highly flexible and adaptable to a range of needs.